You've bought your ticket and packed your suitcase, but what do you know about your next unforgettable vacation destination? 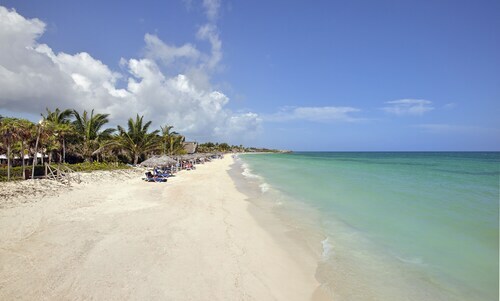 Sit back, relax and let us acquaint you with Cayo Coco. Located in Cuba, Cayo Coco is within easy reach of some interesting areas like Cayo Guillermo, which is 14 miles (23 kilometers) away. With no less than 400 airlines and 665,000 properties, Travelocity can get you the lowest price on your Cayo Coco escape. So, how do we do that? We'll bundle your flights and accommodations to save you cash! Are you after a worry-free travel experience? Our Customer 1st Guarantee means that you'll have 24/7 personal assistance on all services. If you somehow stumble upon an even lower price somewhere else, we'll refund you the difference^. We will never penalize you with a fee if you alter your travel plans. And as long as you get in fast, most accommodations won't charge you either^. Where do you fly into for Cayo Coco? Get ready for some amazing new experiences! The middle of Cayo Coco is just 35 miles (56 kilometers) northeast of Maximo Gomez Airport (AVI). Can I rent a car in Cayo Coco? Getting off the beaten track is always an awesome way to travel. So, how about doing it from behind a steering wheel? 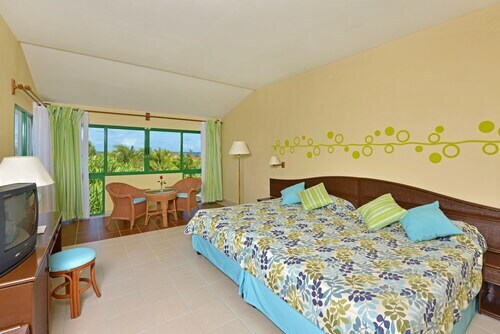 Organize a rental vehicle via Travelocity and get set to blast your favorite tunes in Cayo Coco. Inhale lungfuls of the fresh, salty air and look at colorful seabirds hover overhead at Cayo Coco Beach. Spending time by the ocean is medicine for the soul. Need more ideas? Time spent with nature is proven to lift both your psychological and physical state of being. Visit Parque Natural el Bagá and reap the benefits of connecting with our natural world. Visited all the best bits of Cayo Coco? Next stop, Ciego de Avila! There's so much to do here that there's no chance you'll be bored. While here, stop by Marti Park and the Museo Provincial Simón Reyes. We also recommend the Centro Raúl Martínez Galería de Arte Provincial. 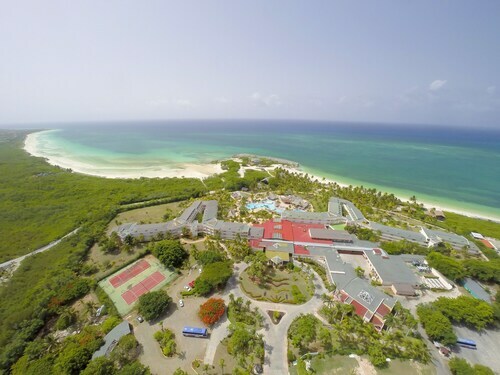 This Cayo Coco hotel is on the beach, 1.3 mi (2.2 km) from Cayo Coco Beach, and within 25 mi (40 km) of Cayo Guillermo Beach and Cayo Guillermo Marina. Laguna la Redonda and Cayo Paredon Grande Lighthouse are also within 32 mi (52 km). This Cayo Coco property is on the beach, 6.2 mi (10 km) from Cayo Coco Beach, and within 20 mi (32 km) of Cayo Guillermo Beach and Cayo Guillermo Marina. Cayo Paredon Grande Lighthouse is 26.9 mi (43.2 km) away. 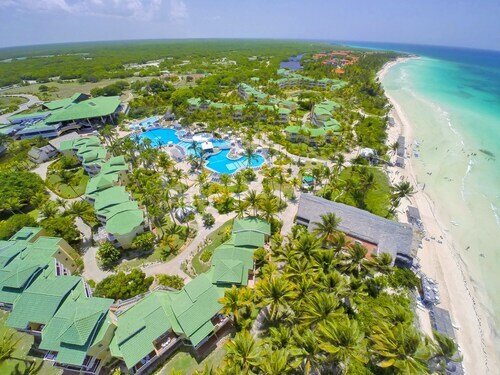 This Cayo Coco hotel is on the beach, 0.5 mi (0.7 km) from Cayo Coco Beach, and within 25 mi (40 km) of Cayo Guillermo Beach and Cayo Guillermo Marina. Laguna la Redonda and Cayo Paredon Grande Lighthouse are also within 32 mi (52 km). This Cayo Coco property is on the beach, 0.6 mi (0.9 km) from Cayo Coco Beach, and within 25 mi (40 km) of Cayo Guillermo Beach and Cayo Guillermo Marina. Laguna la Redonda and Cayo Paredon Grande Lighthouse are also within 32 mi (52 km). 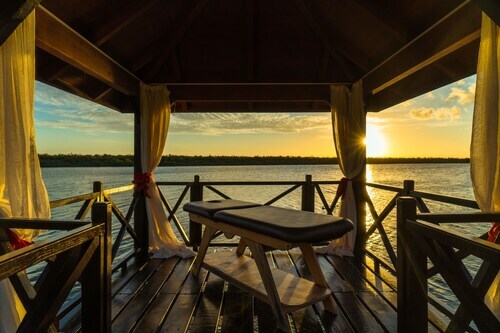 Situated in Cayo Coco, this property is 0.5 mi (0.8 km) from Cayo Coco Beach and within 25 mi (40 km) of Cayo Guillermo Marina and Cayo Guillermo Beach. Cayo Paredon Grande Lighthouse and Laguna la Redonda are also within 32 mi (52 km). This Cayo Coco property is on the beach, 0.5 mi (0.8 km) from Cayo Coco Beach, and within 25 mi (40 km) of Cayo Guillermo Beach and Cayo Guillermo Marina. Laguna la Redonda and Cayo Paredon Grande Lighthouse are also within 32 mi (52 km). 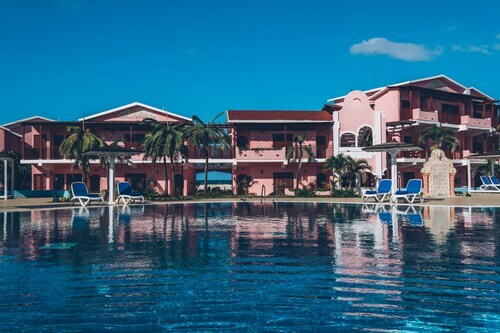 Situated in Cayo Coco, this hotel is 0.1 mi (0.1 km) from Cayo Coco Beach and within 25 mi (40 km) of Cayo Guillermo Marina and Cayo Guillermo Beach. Cayo Paredon Grande Lighthouse and Laguna la Redonda are also within 32 mi (52 km). 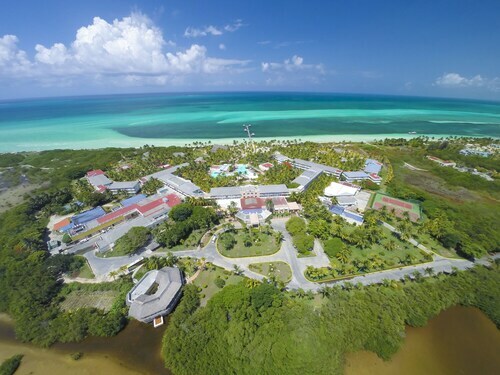 Situated in Cayo Coco, this hotel is 4.7 mi (7.6 km) from Cayo Coco Beach and within 25 mi (40 km) of Cayo Paredon Grande Lighthouse and Cayo Guillermo Beach. Cayo Guillermo Marina and Laguna la Redonda are also within 32 mi (52 km).